Indulge yourself by wearing the team jersey of your dreams. It's time to whistle while your jerseys to follow this championship which looks very promising! 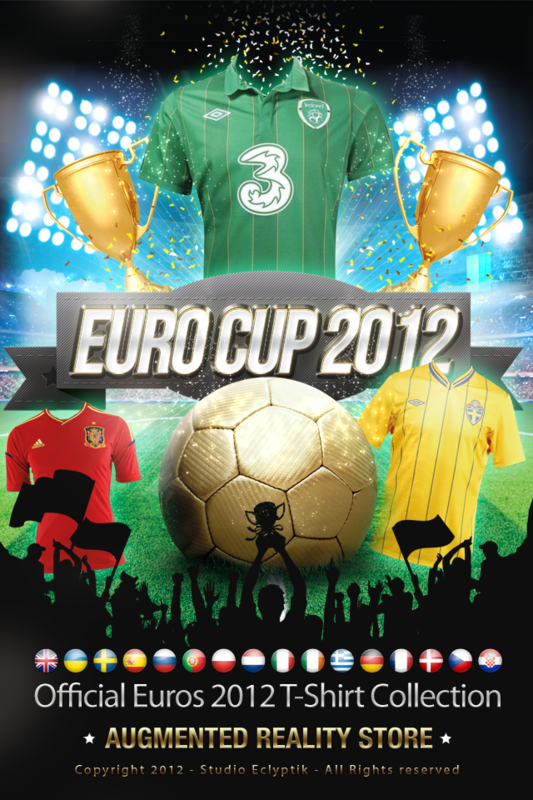 Try and buy official Euro 2012 Team T-Shirt. Get -25% now in our store. 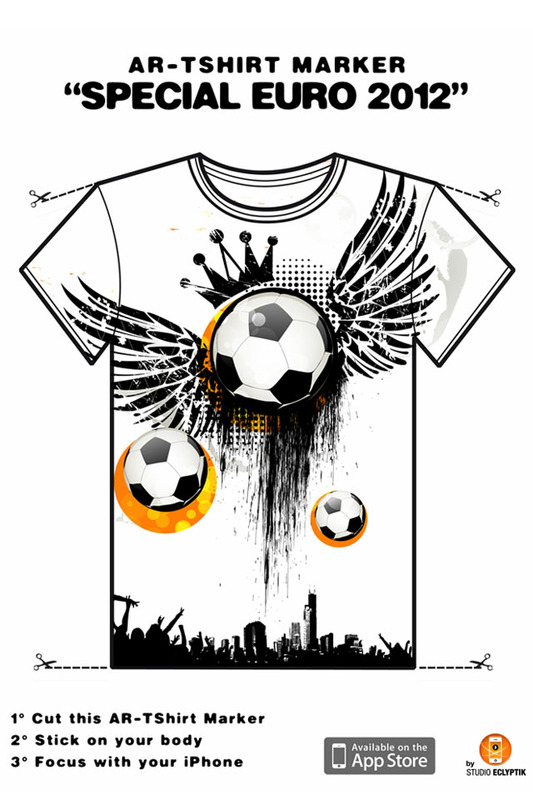 Use Print T-Shirt Paper *, cut it and paste it on your chest. Point your iPhone on it and select the shirt of one of 16 championship teams. 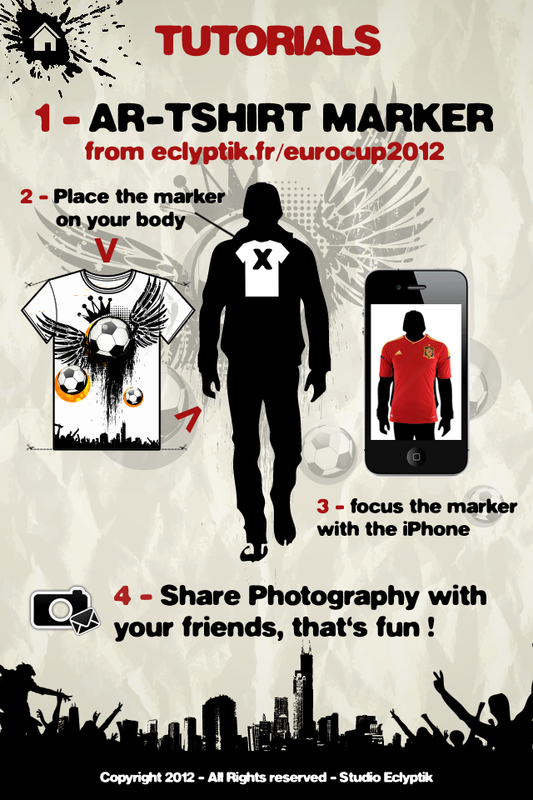 Take a click a picture and send it imméditement email to a friend. Send égalment this same email on your computer and you can share as many photos as you want with your friends on Facebook. 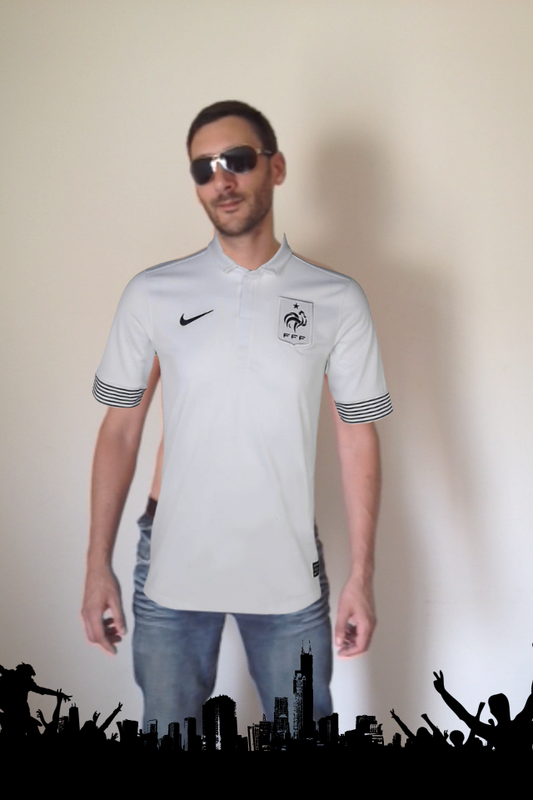 The shirt you like, you can buy in the store. 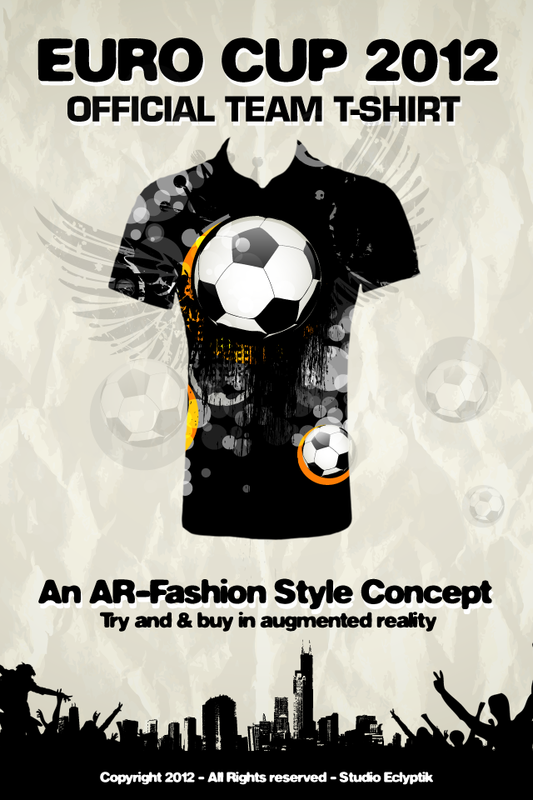 This application uses the camera and overlays the jerseys official EURO 2012 in augmented reality. Try before you buy or take pictures and share them with friends.